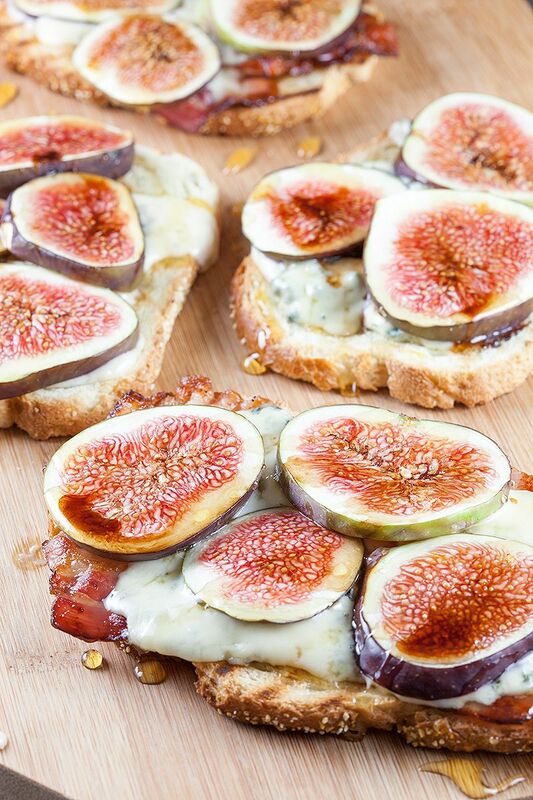 Figs, bacon and blue cheese grilled sandwich, amazing flavors! Grab a grill pan and throw in some slices of bread and bacon, absolute perfection! HEAT the grill pan on high heat. BRUSH the slices of bread with a thin layer of olive oil, using the silicone kitchen brush. GRILL them on both sides for about 1 to 2 minutes. Now grill the bacon slices while the grill pan is still hot. This will only take a few minutes, make sure to flip them over before they turn too dark. 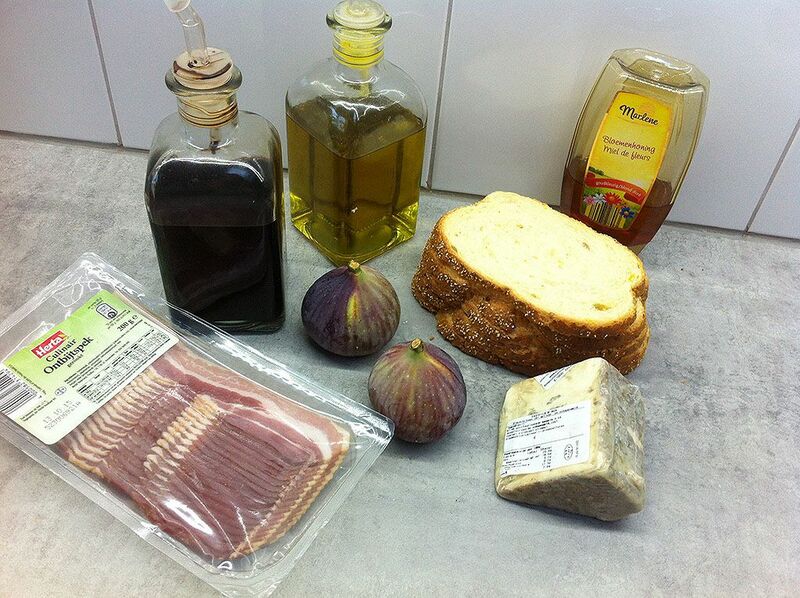 PLACE the slices of grilled bread on the oven tray and divide the slices of bacon over the slices of bread. We made half of the sandwiches without bacon. CRUMBLE and divide the blue cheese over the sandwiches, the layer shouldn’t be too thick. PLACE the sandwiches in the oven until the cheese melts, that will take about 5 minutes. 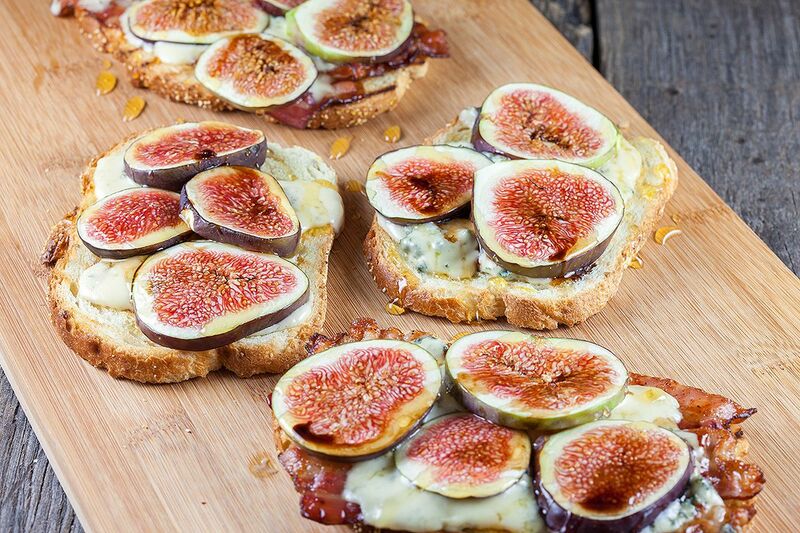 CUT the figs in slices and divide over the sandwiches. DRIZZLE some honey and balsamic vinegar over the top if you like and enjoy! 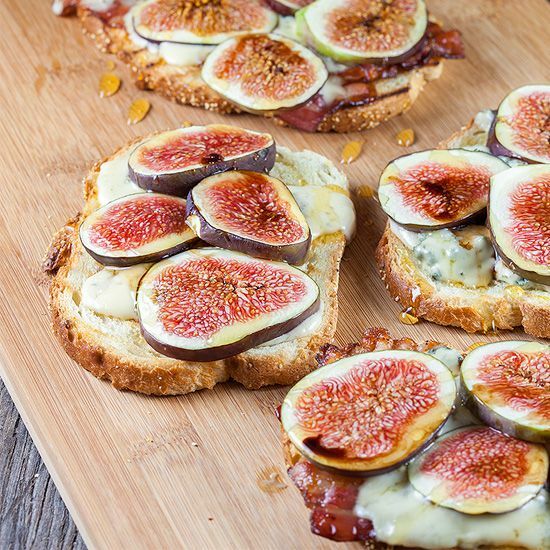 You can also cut these sandwiches in smaller pieces and serve them as a snack.